Mr Orange is a name which I have adopted over time, the picture below should give you an idea. As a keen cyclist I understand how it feels being without your bike at the weekend and even worse having to clean your bike after a long days cycling. 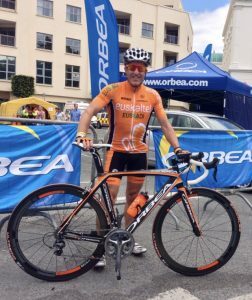 Mr Orange Bikes – Mobile Bike Shop offer you a premium service with no hidden costs with every service receiving a bike valet (Clean & Polish) to make your bike shine like a pro-bike. Our state of the art mobile workshop also give us the flexibility to carry out minor services at your home or workplace.